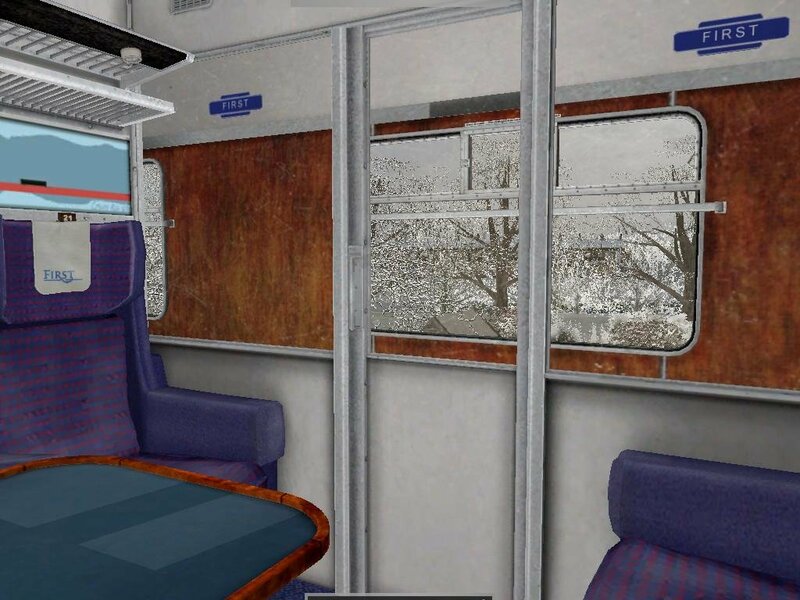 Train sims are niche products. 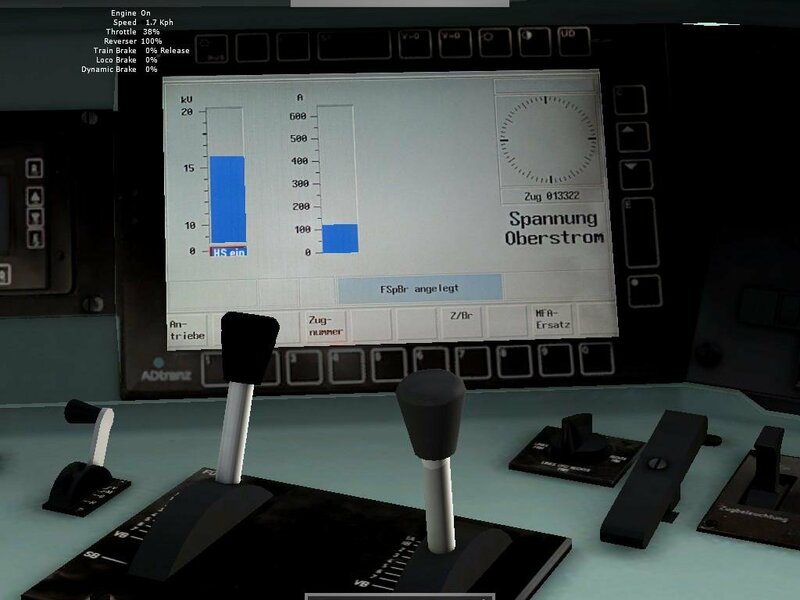 A bit like civilian flight sims, the people who get the most enjoyment out of them are the nerdy types who don’t mind sitting around adjusting knobs and switches for hours. 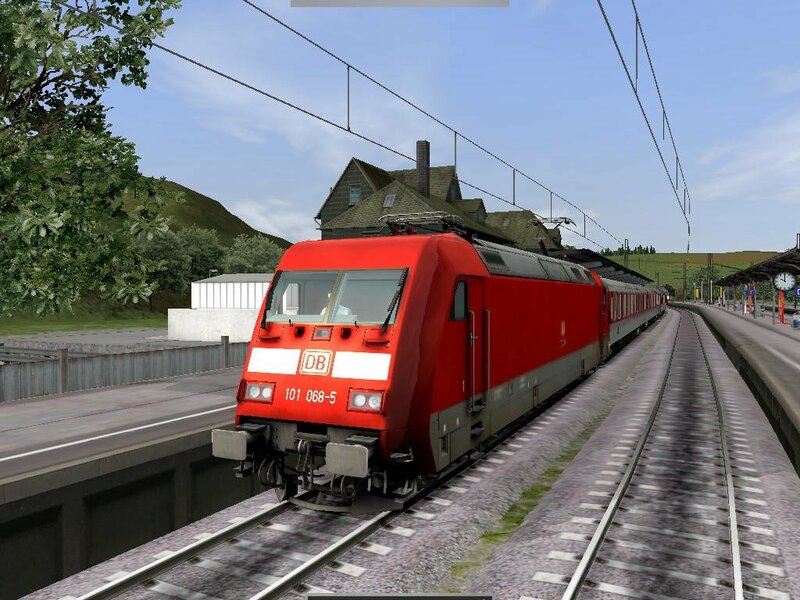 The same sort of gameplay featured in Microsoft’s classic Train Simulator can also be found here, though now of course everything is bigger and better. 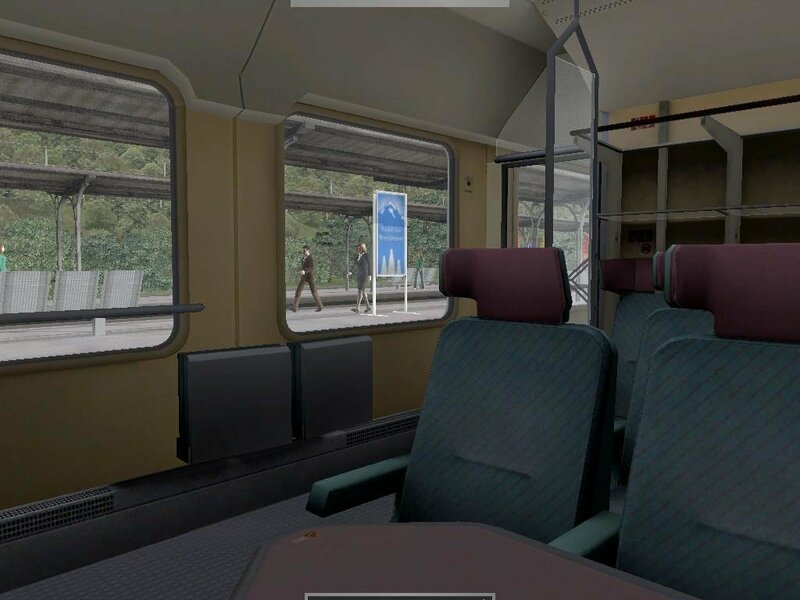 The landscapes are bigger, the trains are more detailed, the full 3D cab interiors are beautifully rendered, and cool little details like people walking on platforms or cars driving on roads add to the immersion. The only problem is that the thing was a massive resource hog. Normally this wouldn’t be a problem if the damn thing ran on Windows 7, but it doesn’t want to, so you can only play it on older Windows XP computers. 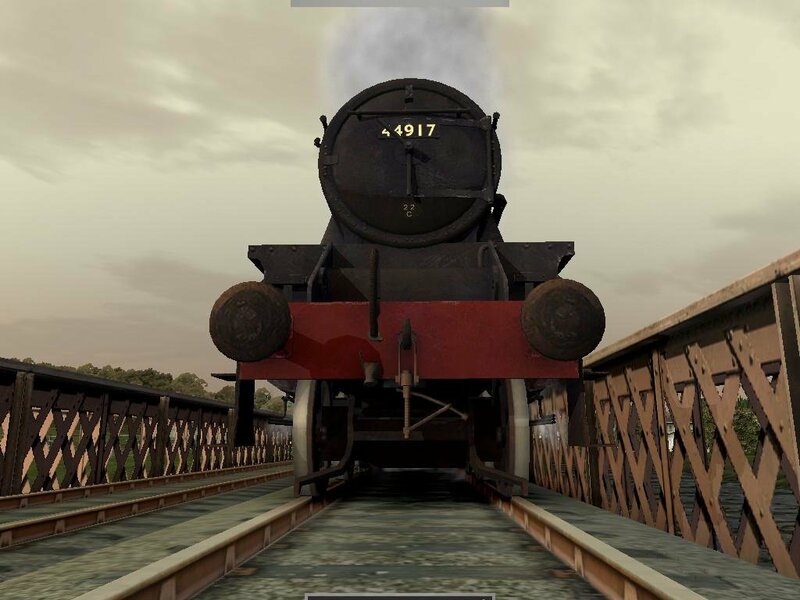 Running it on my old Dual Core, 3 GB RAM computer, the game occasionally chugged along and took about 1 minute to load a single scenario. 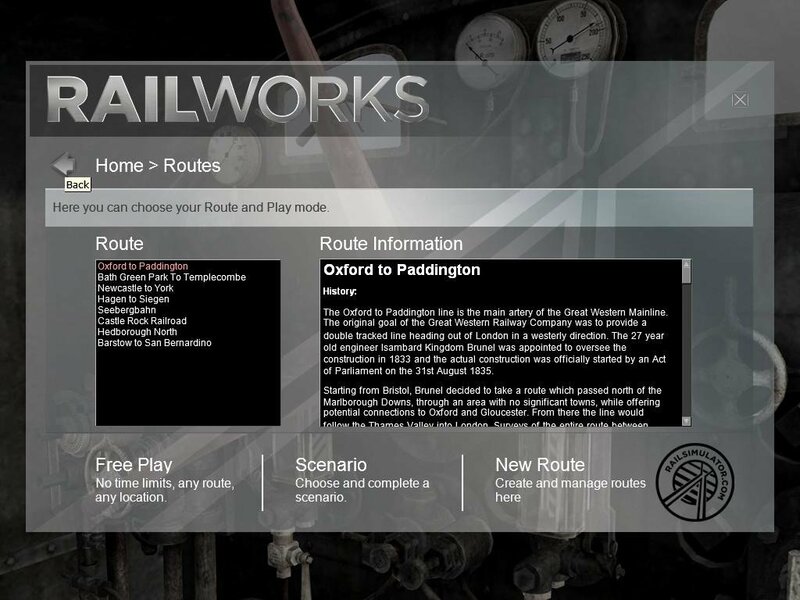 Railworks has eight routes on offer that stretch North America, Britain and Germany. 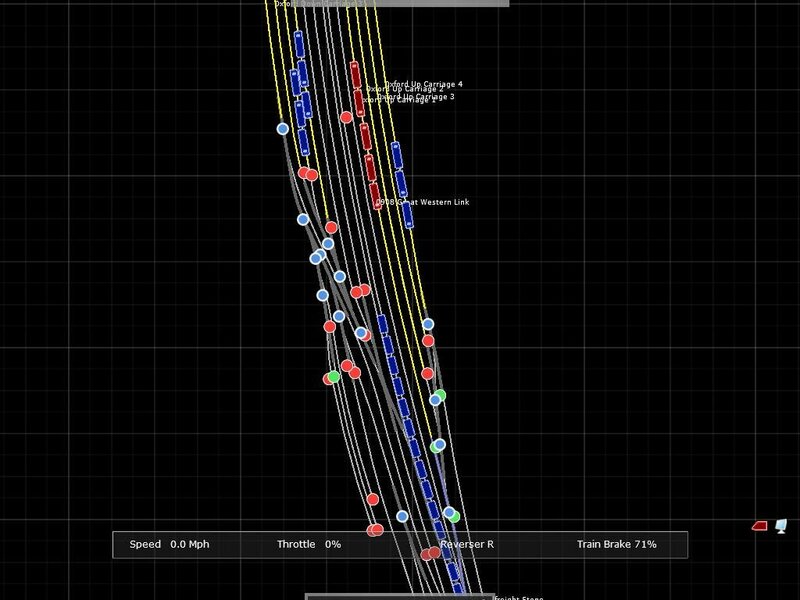 Scenarios there are aplenty, but the program has to load an entire level regardless of how much of it is featured in your driving assignment. 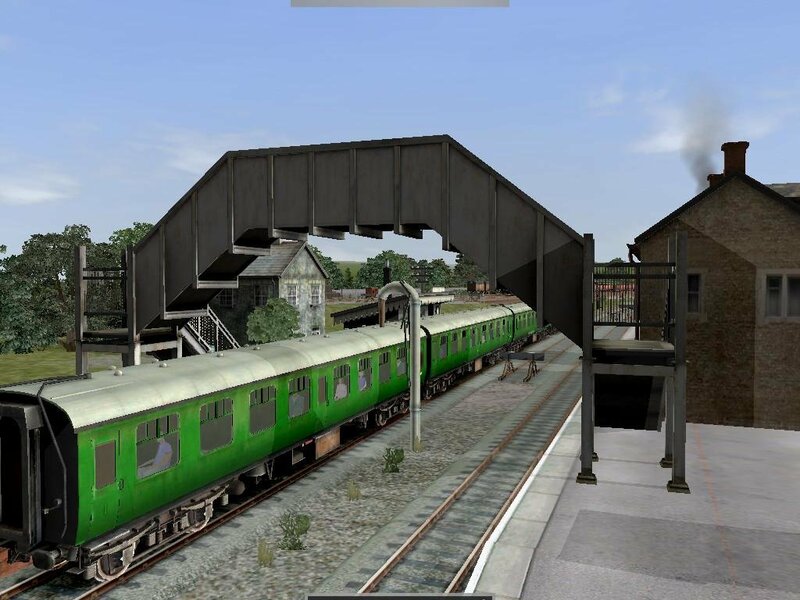 For this reason, loading (re-loading) scenarios in Railworks is a bit of a nightmare. The scenarios are hit and miss. Some have useful descriptors like the difficulty level and the time needed to complete the scenario, while others do not. 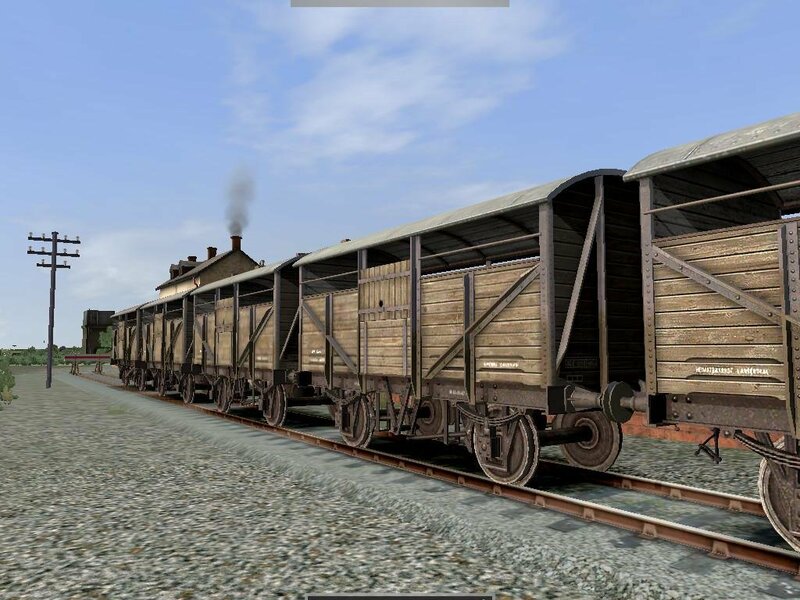 The activities themselves include passenger service, freight, or shunting (slowly moving railcars from one siding to another). 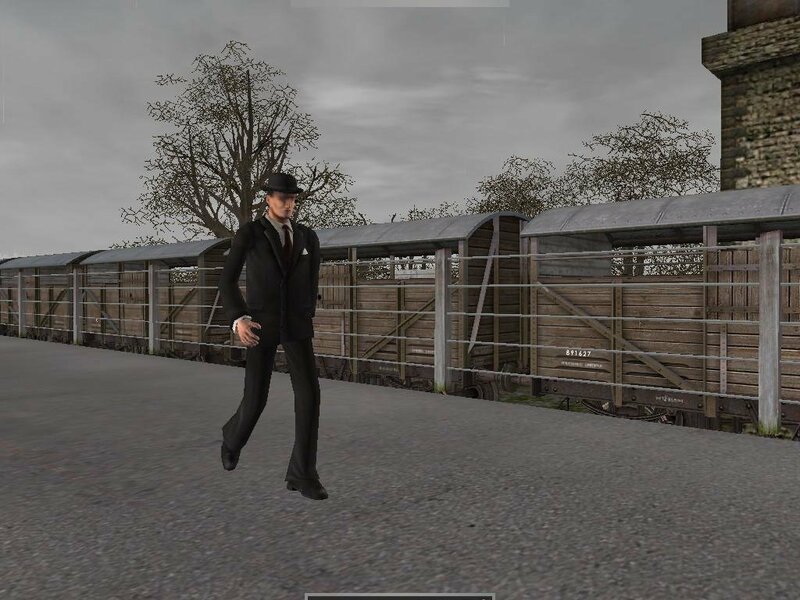 A few scenarios combine the latter two, requiring you to pick up several railcars stationed in different sidings until you have a complete consist. 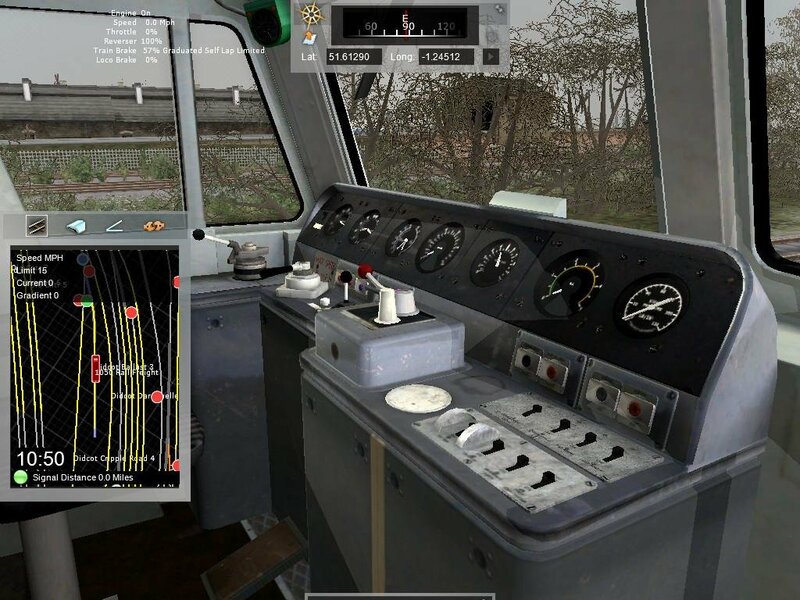 The interface used to locate which set of railcars to attach and haul is rather weak. 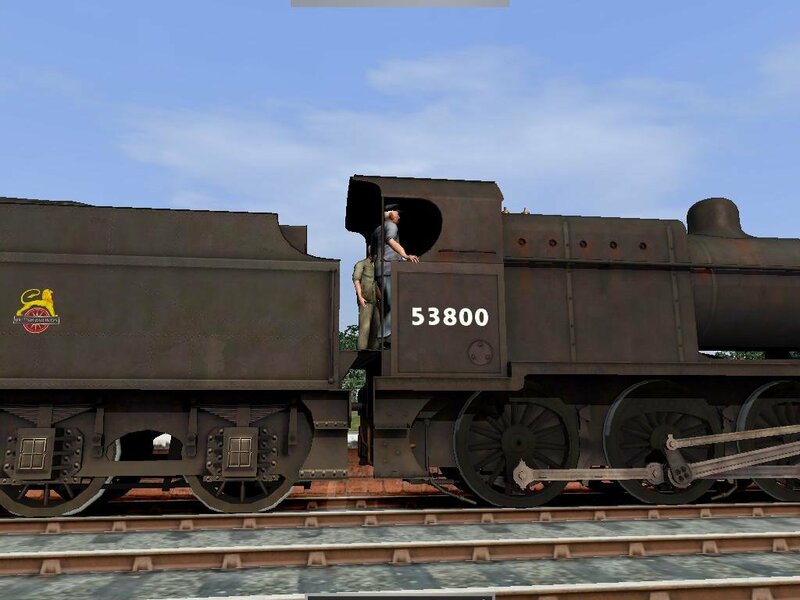 When you have objectives like “Pick Up (351085), (351402), (351045), (351040) from Dudson Staithes Siding 2”, most people will give blank stares. 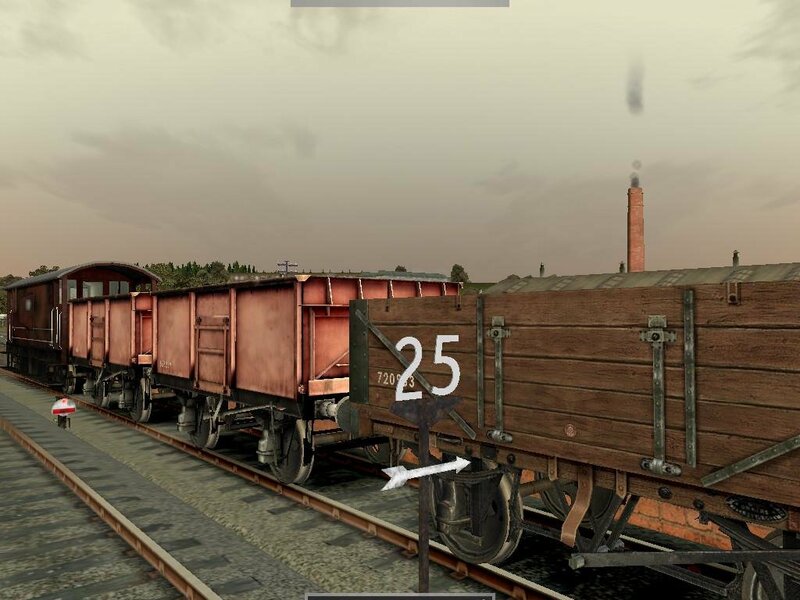 You have a map, but the target railcars aren’t highlighted. There’s no giant arrow or distance indicator to clue you in what you have to pick up. I quit many scenarios like this simply because I couldn’t solve them. 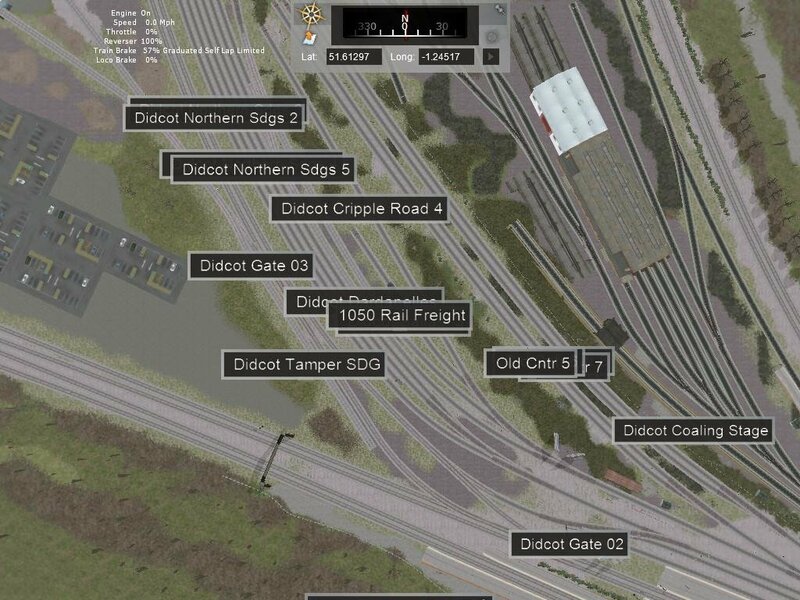 Also, these cars are sometimes hidden within a busy network of tracks that require you to switch between junctions multiple times. 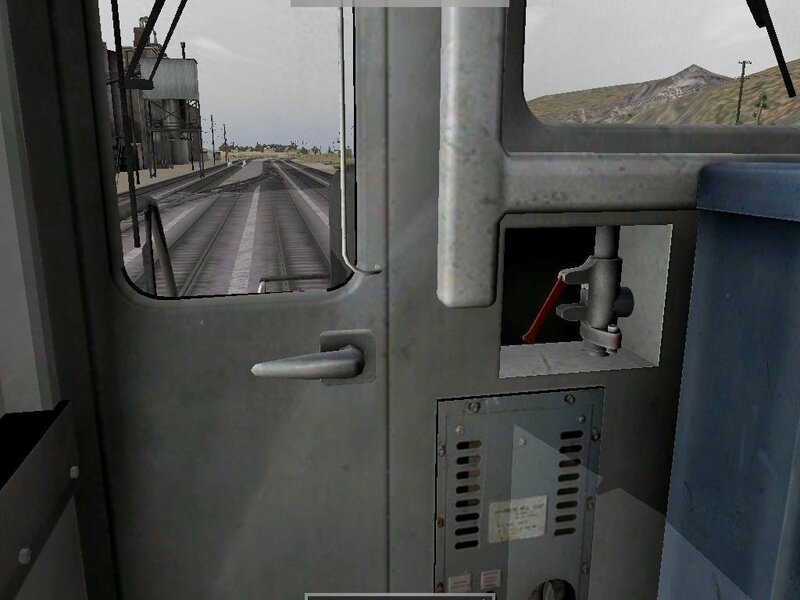 You can do this in two ways – you either press 8 to detach the exterior camera, fly to the switch and activate it yourself, or use the map to do the same thing (which also handily points out which direction your locomotive will travel). But navigating confusing railway networks is risky. 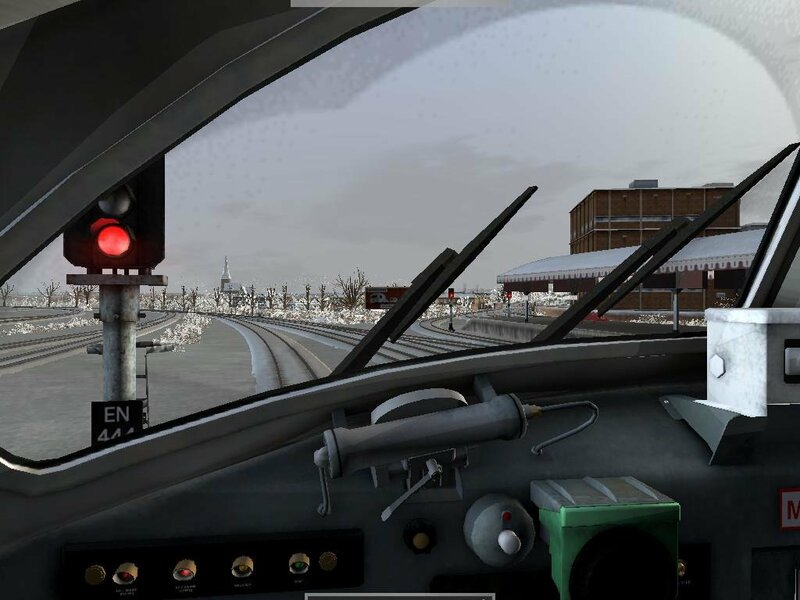 Drive yourself back into a closed junction like a noob and you’ll instantly derail. 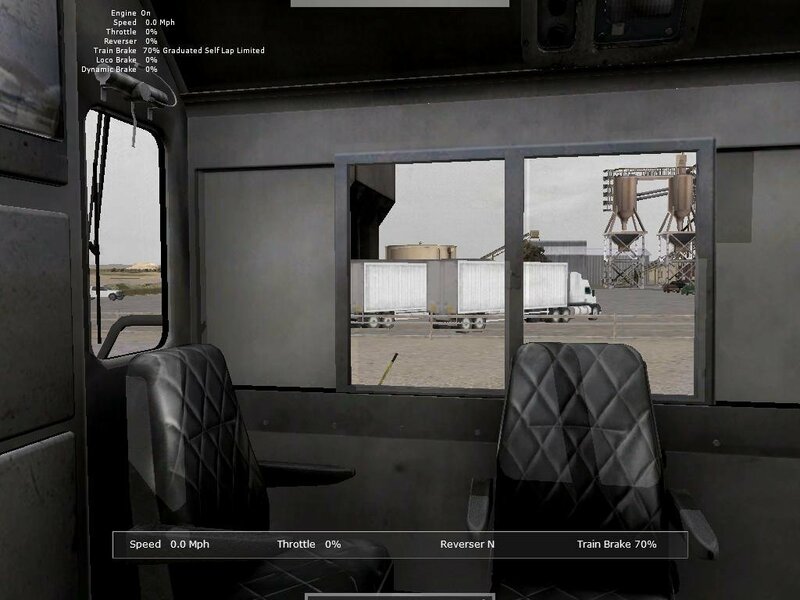 The passenger jobs are the easiest to play. They’re naturally time-based, and you get your score based on timetable precision (and by not exceeding the speed limit). 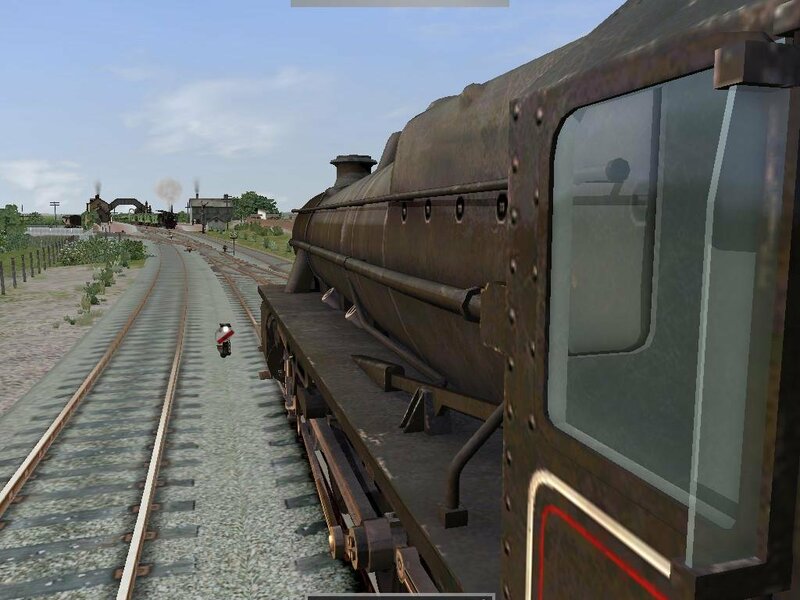 Driving difficulty is dictated by the type of locomotive. 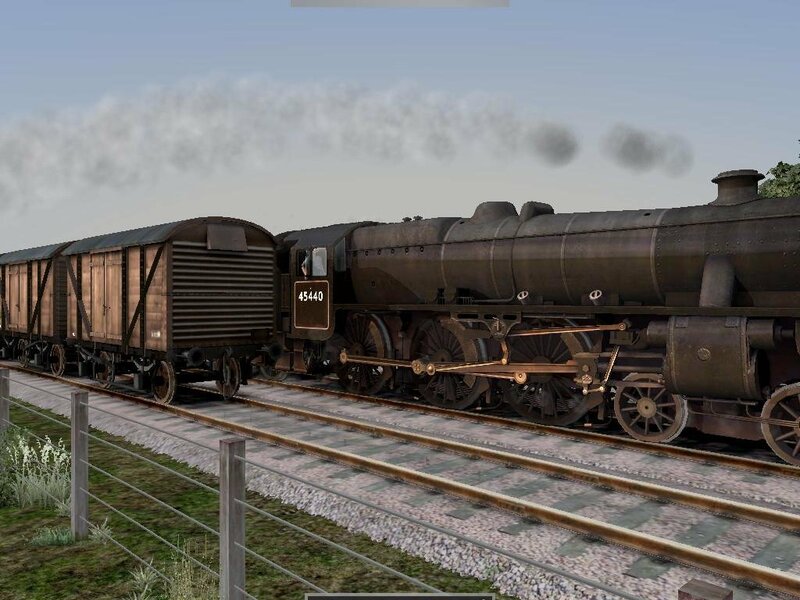 Electric engines are the easiest, diesel is passably simple while steam is pretty darn challenging. 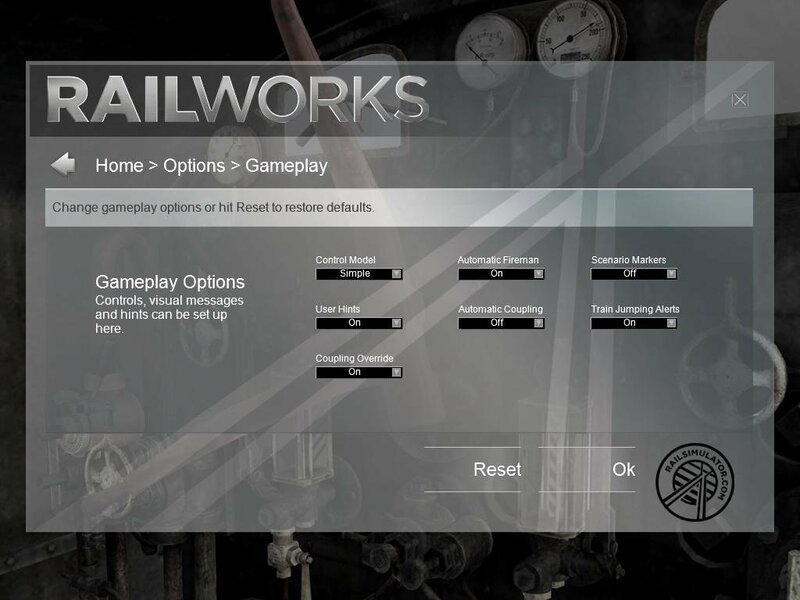 By default, the game will start on the easiest difficulty mode. 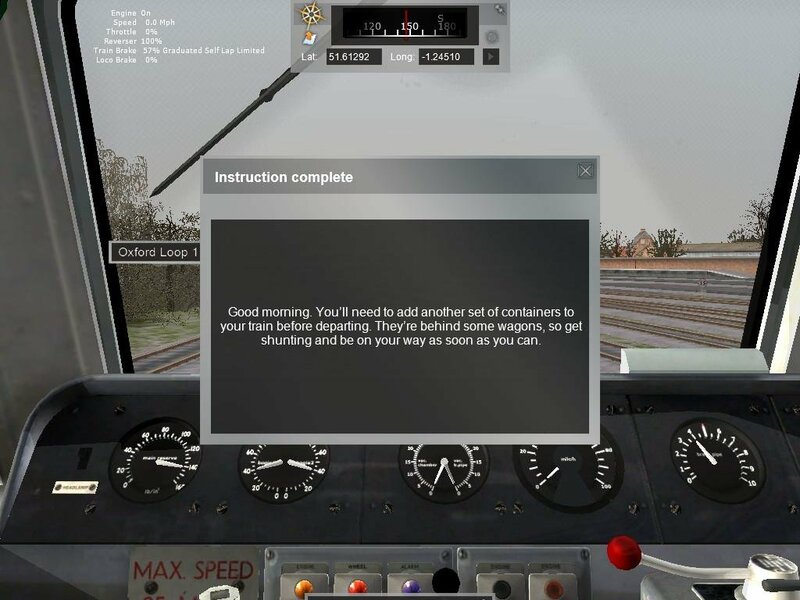 On this you’ll only have to worry about throttle and direction. 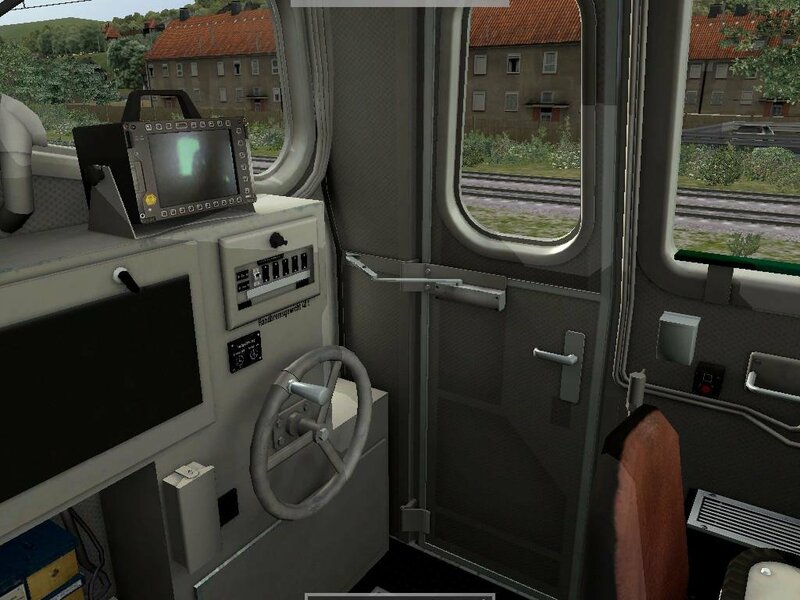 Set it to expert and you’ll have access to considerably more switches, valves and levers in your cab. 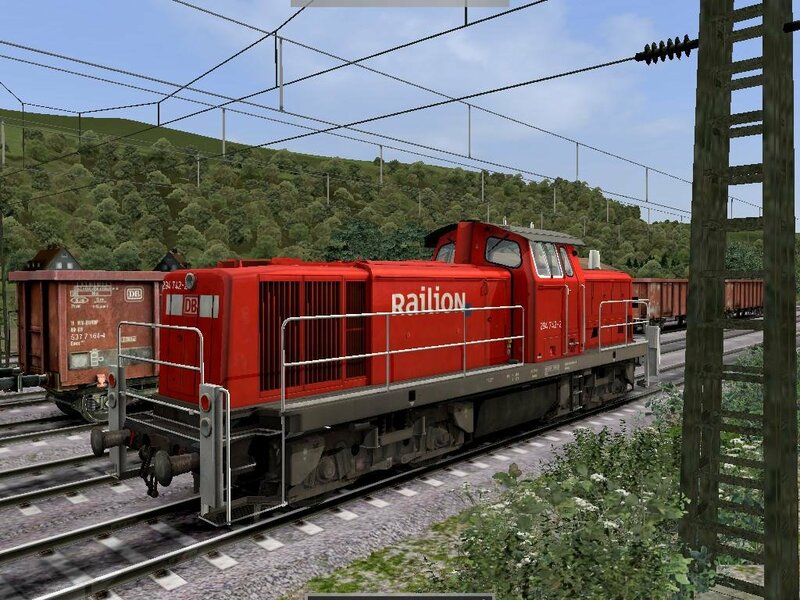 The range of locomotives is pretty broad. 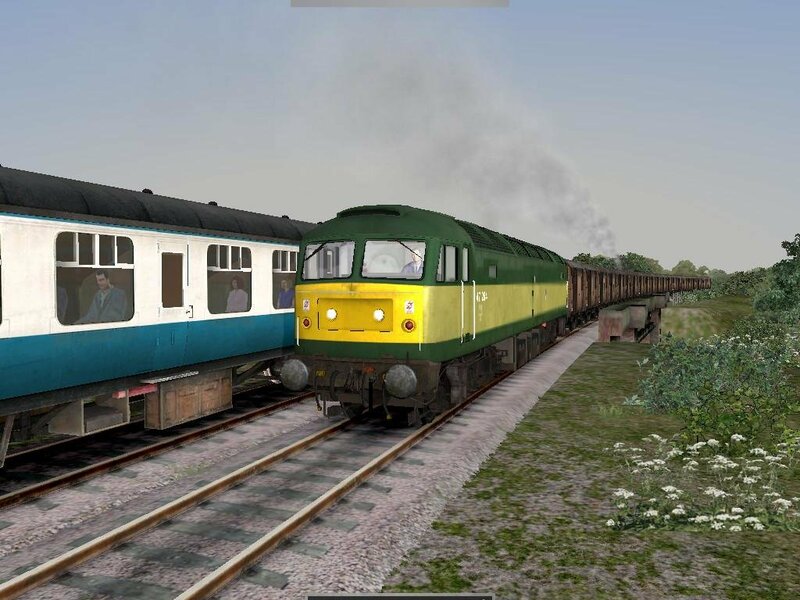 You’ll get two British steam locomotives – BR 7F and a Stanier Black Five – a whole bunch of diesel ones – Class 166, Class 43, Class 55 Deltic, BR294, V200, EMD SD40-2 – and lastly, a couple of electric or diesel-electric ones – Class 47, DB Class 101. All of them have cabins that are gloriously rendered. You can swing the camera around, zoom in and out, and manipulate the various controls using the mouse. You can also stick your head out of the side window. 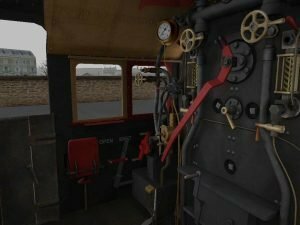 There are hotkeys for each of the controls, and you technically don’t need to use the fully working gauges within each cab. 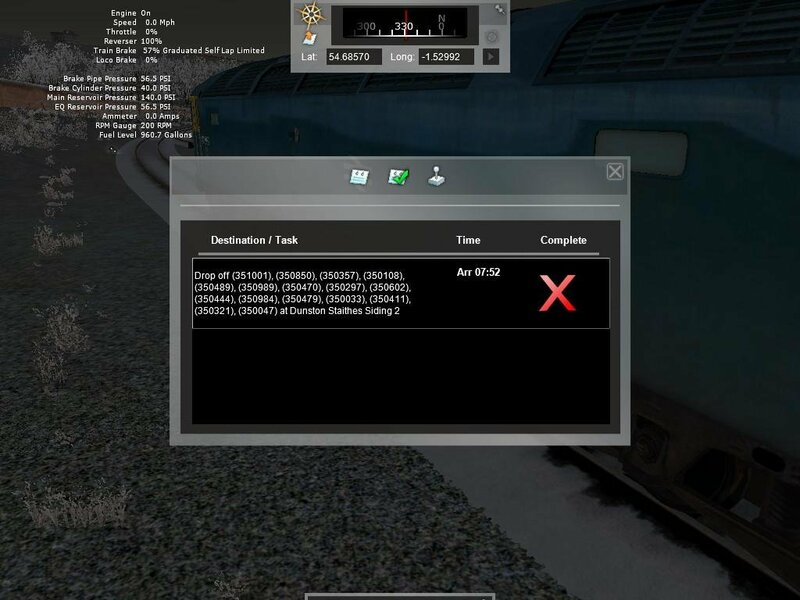 By pressing F5 you can display all of the pertinent information needed, including speed, brakes, reverser direction and a bunch of other technical jargon that is specific to each locomotive type. By pressing F3 you will also have access to further driving aids that measure such things as signal distances, speed limits, gradients and destinations. All of them are of immense help. But whether you’ll enjoy a game like this is hard to say. 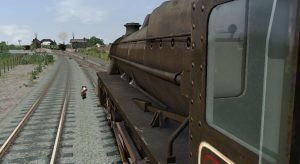 As usual, the greatest challenge (and most enjoyment) is derived from the constant adjustments needed to keep steam trains going. It’s just a shame that only two of them were included, but their missions at least are fairly interesting. 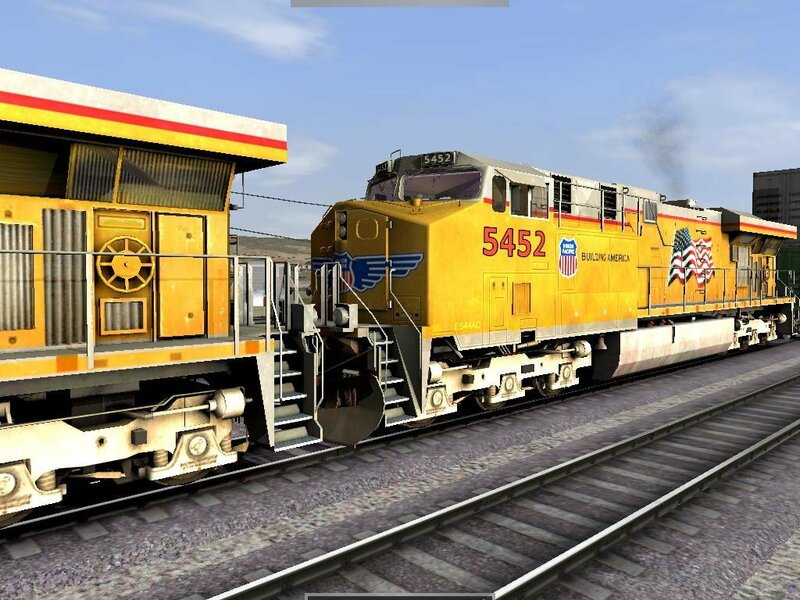 For beginners, you will have a great deal of diesel and diesel-electric train missions at your disposal to hone your skills. 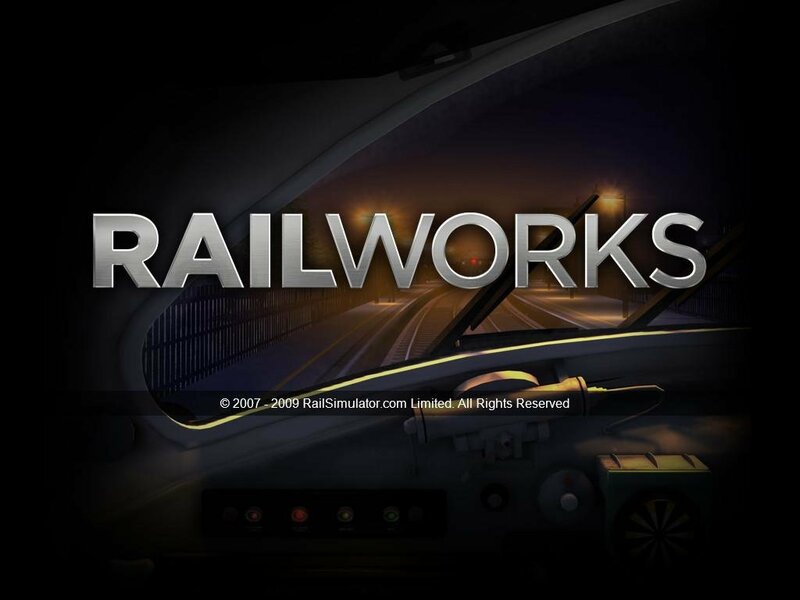 Even with its interface quirks and resource consumption, Railworks has enough quality train driving to justify it being on your hard-drives. that’s odd. i did manage to get it running easily. just see the screenshots.